I Want To Do Better…. Don’t you just LOVE to get a card in the mail? I do! One that’s been chosen just for you, signed with a real pen, has a real stamp on the outside and your handwritten address…. As much as I love to receive cards, I don’t know why I don’t send more! Just lazy probably, I THINK about it and then just never get around to it. I am vowing to do better! I may not hit every birthday and anniversary but when God brings someone to my mind, I am going to stop what I am doing and send them a quick card! I have all my card writing stuff in one spot so it should be pretty easy to pull together! I’m going to get started with these great cards I got from Dayspring! Man, how I love their cards! 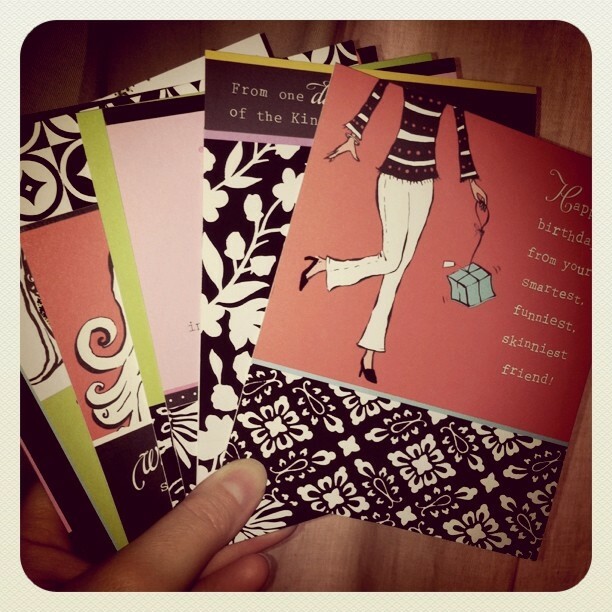 Recently I got this set of Sassy & Sophisticated Greeting Cards and they are just too cute! Looking forward to sharing them with friends! What a great way to brighten a friend’s day! Send one of these Sassy & Sophisticated cards from Dayspring! DaySpring gave me this product in exchange for my honest review. Previous When You Know It’s Time…. Next First Grade Here We Come….